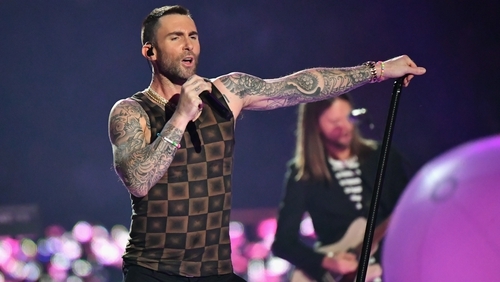 Maroon 5's Superbowl half-time performance has been criticised as being "the worst" in the event's history. The band, fronted by Adam Levine, took to the stage at the midway point of the New England Patriot's game against the Los Angeles Rams at the Mercedes-Benz Stadium in Atlanta, Georgia, on Sunday. During their 13 minute performance they raced through nine of their best-known hits including This love, Girls Like You, She Will Be Loved and Sugar. The band were also joined on stage by rappers Travis Scott and Big Boi. Some commentators compared it to Justin Timberlake's underwhelming Superbowl performance in 2018, while others said it was "by far the worst" they've ever seen. Maroon 5's performance at the Superbowl Halftime Show was the worst. Wow talk about a disappointing Superbowl. Patriots win no surprise there, low scoring game really offense pathetic and lastly and more importantly worst half time show I like Maroon 5 but that was sad and NO SWEET VICTORY REALLY???? Worst Superbowl ever in my 21 years of living. Previous Superbowl half-time show performers include Lady Gaga, Coldplay Katy Perry and Beyonce.